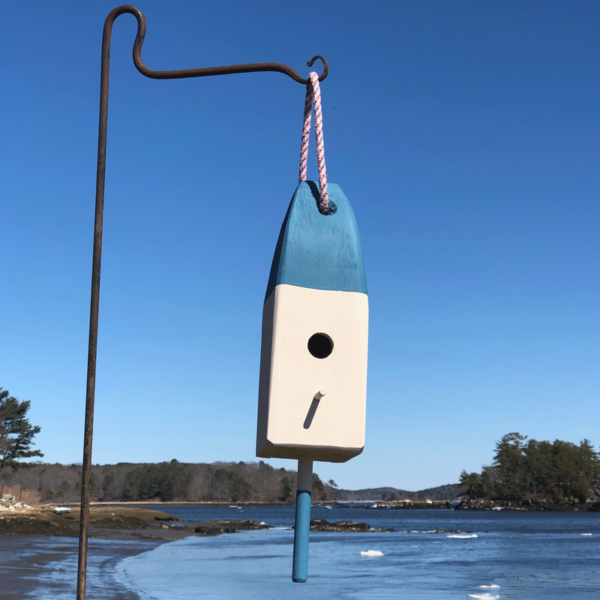 Dovetail base can be slid out for easy cleaning. Drilled hole in the base provides drainage. 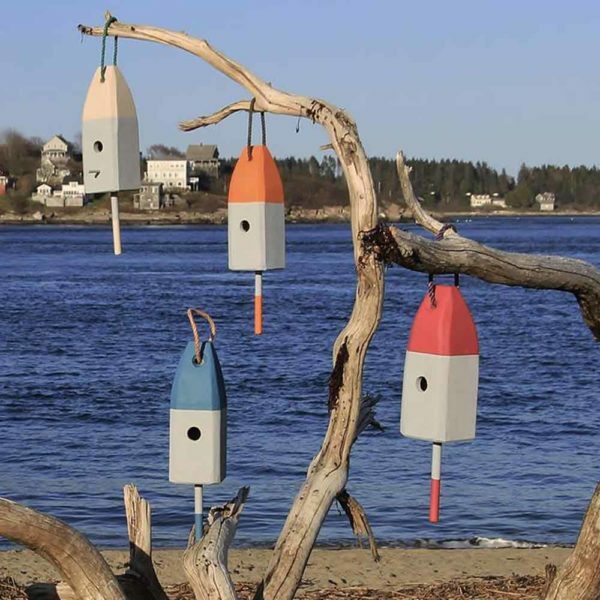 titmice, nuthatches, wrens, woodpeckers, chickadees, warblers, bluebirds, swallows, flycatchers, sapsuckers, finches, creepers, snow buntings, and others are among some of types to find homes in these lobster buoy birdhouses. 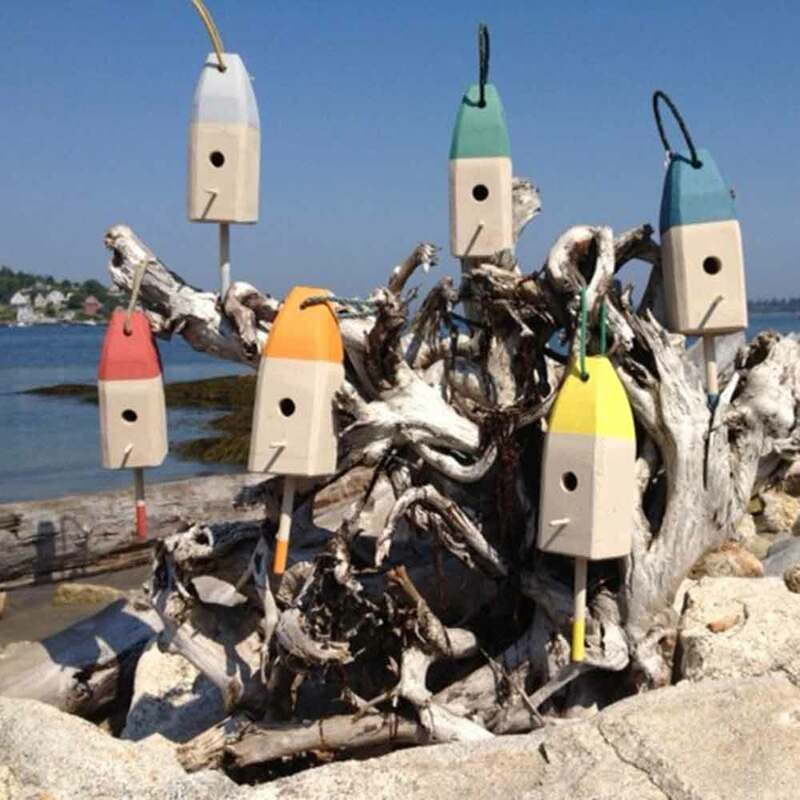 for custom colors or customization. 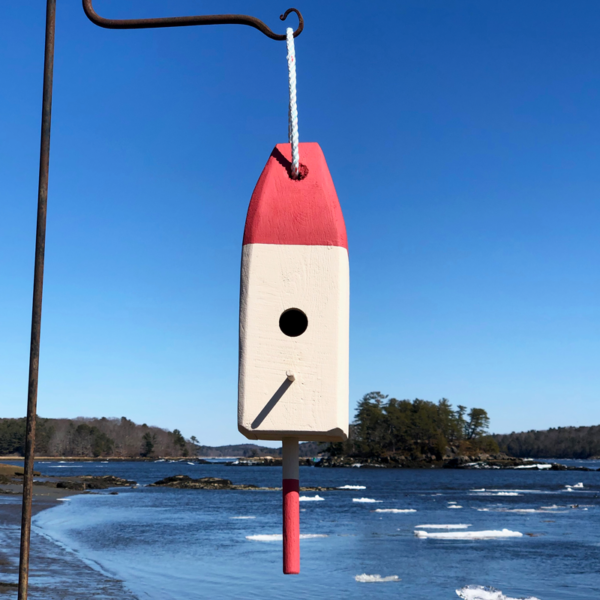 See the lobster buoy suet feeder here. 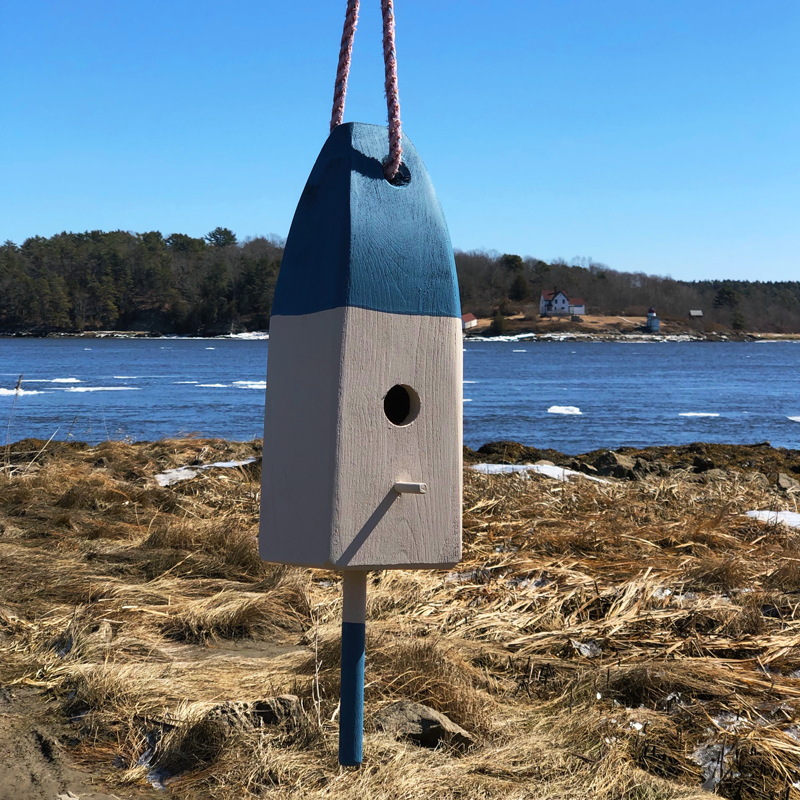 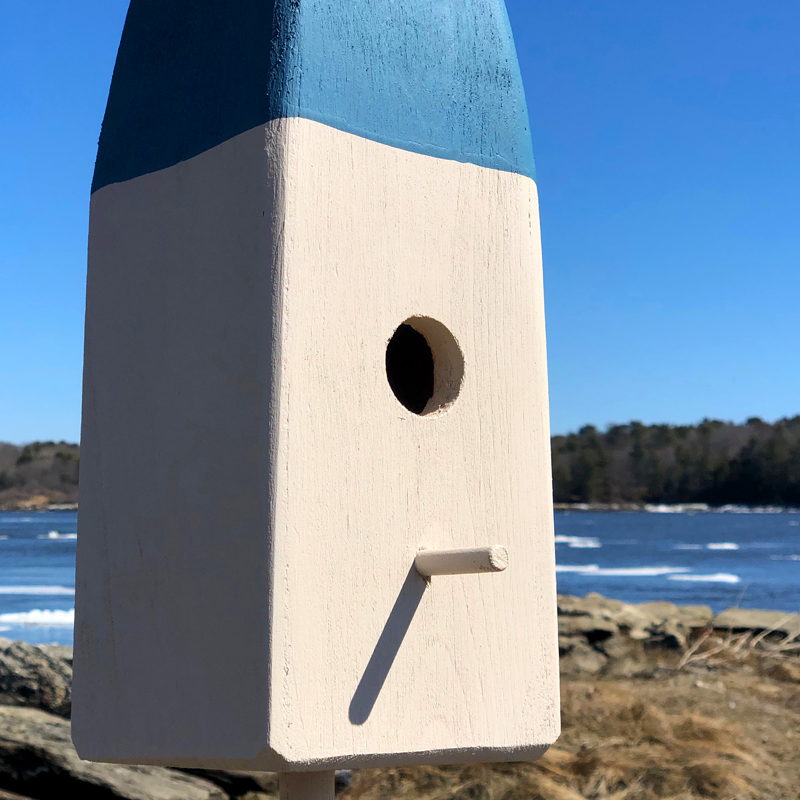 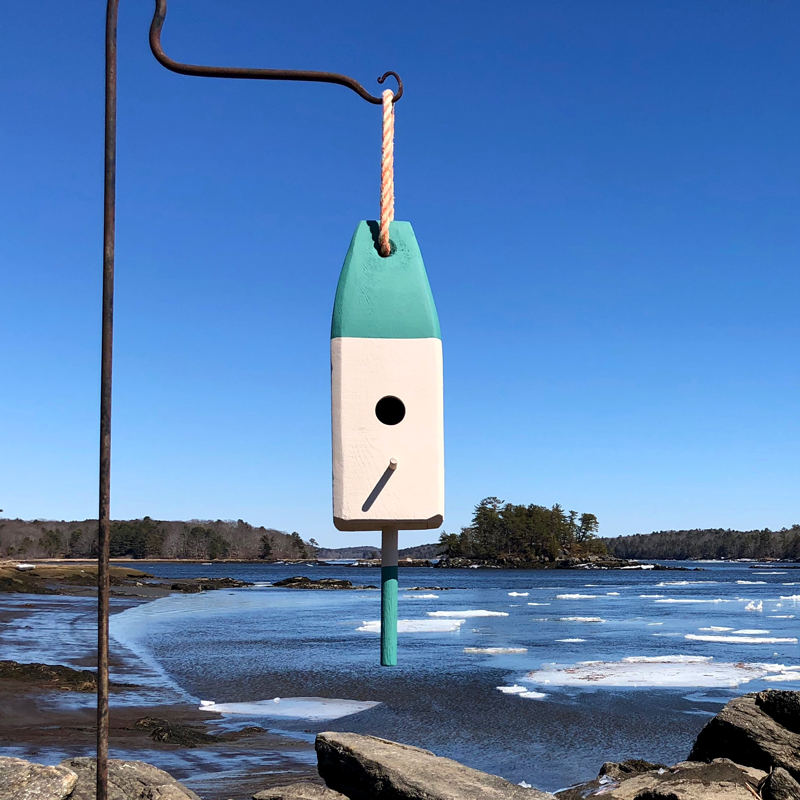 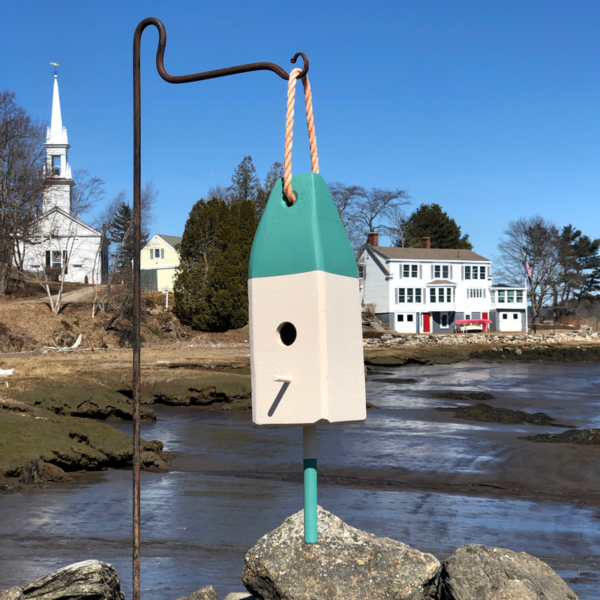 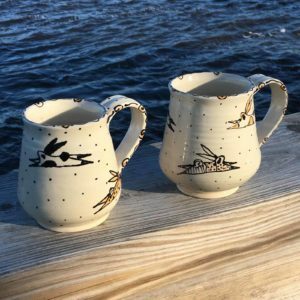 Lobster Buoy Birdhouse Co. has been designing, hand- crafting and selling our products since 2012 when Nikki and Peter Sullivan opened the first shop in their barn in Bowdoinham. 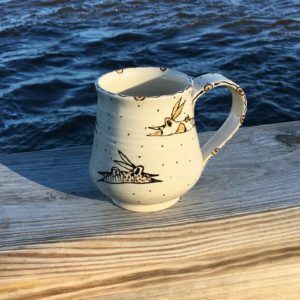 In July, 2018, Lisa Padulo purchased the business (after admiring and enjoying the products as a customer) and continues the tradition in Lisbon Falls with a family team consisting of her two sons, Stefan and Colby, and several skilled and dedicated co-producers. 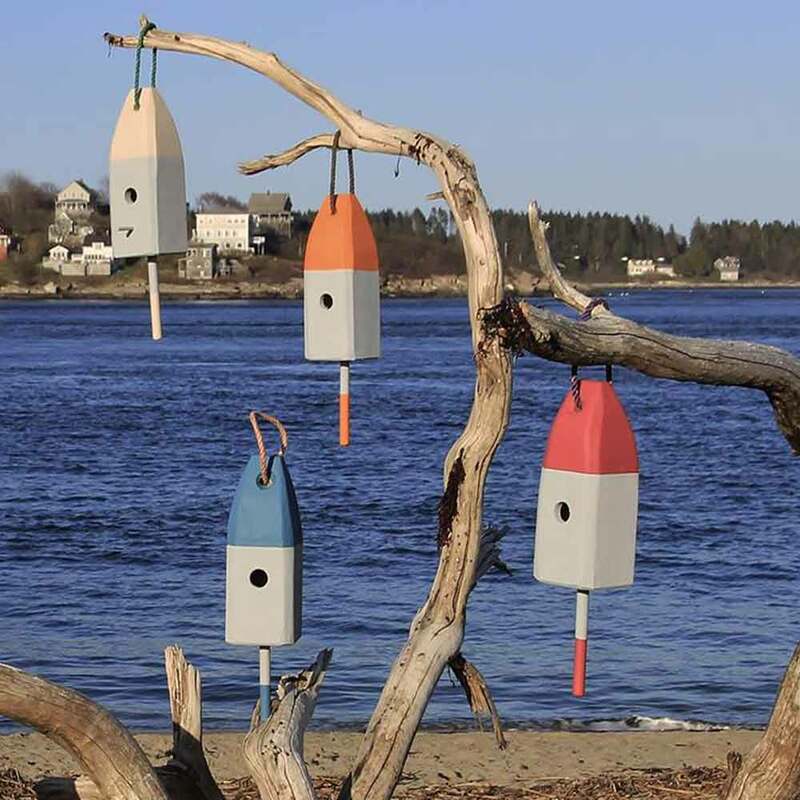 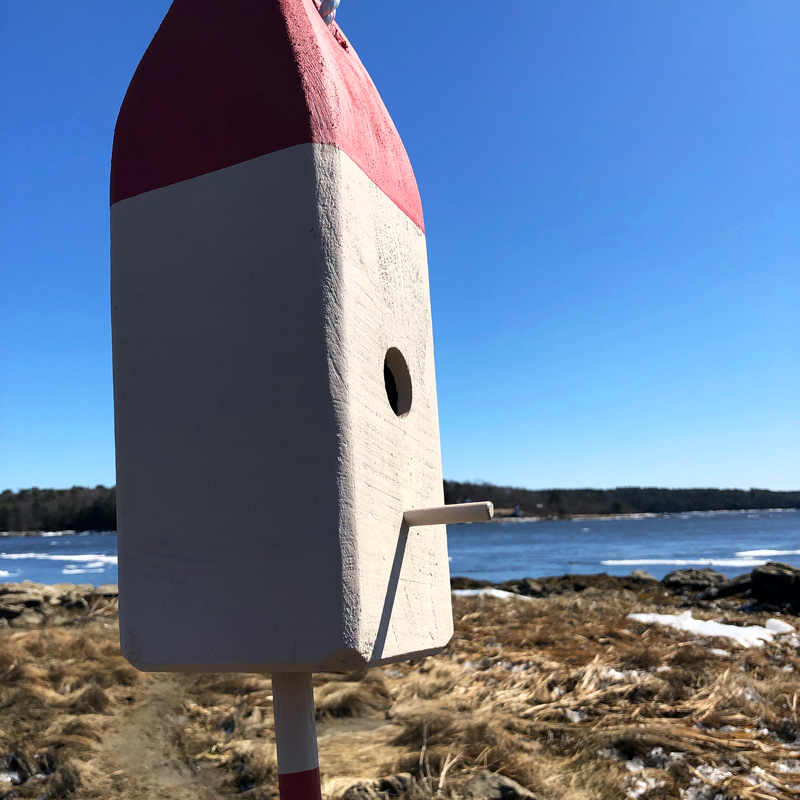 The lobster buoy birdhouses, suet feeders, buoys, planters, and ornaments are designed to resemble vintage buoys that lobstermen used in the early 1900’s to identify their traps. The cedar wood is from northern Maine and the rope handles are recycled lobster trap rope from local Maine fishermen. We like to think of our products as fun and practical… birds love them and their bright, nautical look adds a splash of color and coastal charm to any home or garden.